Sree Chitra Tirunal Institute for Medical Sciences & Technology (SCTIMST), Trivandrum has released the notification for admission into MPH & DPH Programmes for July Session 2019. The application form of SCTIMST Admission for July 2019 session is available now, and a direct link to fill the same is provided below. The last date to fill the online registration form of MPH and DPH courses is April 10, 2019. 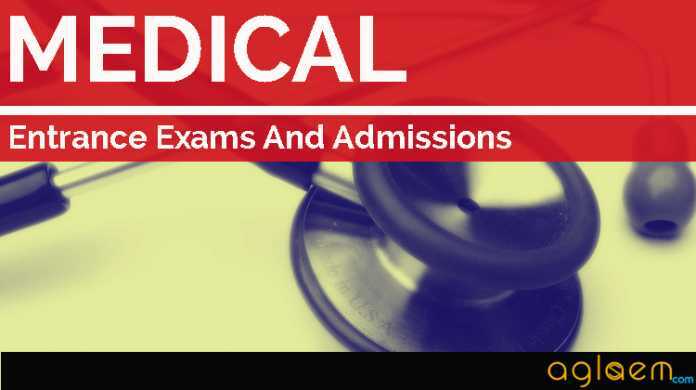 Get SCTIMST Admission and Entrance Exam 2019 for MPH & DPH and Other Programs complete details on this page below. Latest: The last for submission of online Applications form for MPH and DPH courses is over now. Click here to fill the same. Candidates seeking admission in said courses have to apply online from the official website www.sctimst.ac.in. 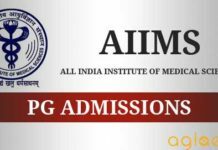 The application fee of MPH and DPH courses for General Category is Rs. 1000/- and for SC/ST Category is Rs.800/-. Below we mentioned the schedule of MPH and DPH courses for the July Session 2019. This is a 24-month full-time residential program commencing on the 1st of July every year. The objectives of the Master of Public Health program is to provide a broad understanding of the core areas of public health and related disciplines. To develop through a field-intense practical training program the ability to identify a health problem and conceptualize the related research questions, design a community-based study to investigate the problem, collect relevant data from the field, analyze the data and present the findings in a policy or scientific context. To help acquire knowledge and skills to analyze health situations and help devise appropriate policies and programs in a cost-effective manner. To inculcate an interdisciplinary approach to problem-solving skills in public health. This is a 12-month full-time program. This is envisaged to provide capacity building in public health for doctors working with various State or Central Government Departments or Agencies. MBBS doctors working with Government Agencies and having at least three years of work experience are considered for the course. BTech or BE (Any Branch) and graduates of four-year degree programs in Veterinary Sciences, Nursing Sciences, Physiotherapy, Occupational Therapy, Pharmacy or Students with a postgraduate degree in Statistics/Biostatistics, Demography, Population Studies, Nutrition, Sociology, Economics, Psychology, Anthropology, Social Work, Management or Law may apply. 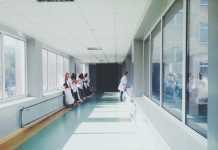 Work experience in a health-related field is desirable. 40 years as on July 01, 2019. Age relaxation may be given as per Government of India policy and in exceptional cases. 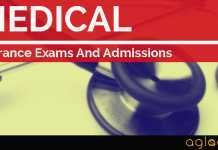 The candidate who have 3 years in Government service after MBBS, can apply for the test. Up to 50 years as on July 01, 2019. The application form of MPH & DPH Programmes is available in online mode on the official website. The application form of MPH & DPH Programmes for July Session 2019 is available now, candidates can fill the same from the direct link which is provided on the “application form” page. Candidates can download their Hall Ticket / Call ten days prior to the scheduled date for entrance examination from our website www.sctimst.ac.in. Candidates are advised to bring this card on the day of Examination at the examination hall. Candidates can able to download the admit card from April 24, 2019. The Reporting time of entrance examination is 08.30 AM. there will be three centres for the entrance exam. There will be a written test and interview at SCTIMST-AMCHSS, Medical College PO, Trivandrum -695 011. Indian students: Prospective candidates will be evaluated on the basis of educational qualifications, professional experience relevant to the field of public health, written test (multiple choice questions) and interview. Overseas students: Selection will be based on educational qualifications, professional experience, assessments made by the sponsoring organizations and a telephonic interview. Applicants are required to submit two reference letters in sealed envelopes from experts working in the field of public health at the time of admission. Overseas candidates have to provide certification for proficiency in English. If there are more than 10 applications, selection will be based on the performance in written test (multiple choice questions) and interview. For more detail of SCTIMST Admission and Entrance Exam 2019 – Download Information Brochure I Admission Notification.